NASSAU — Masters champion Patrick Reed and Patrick Cantlay made the most of benign conditions on Thursday, firing seven-under 65s to share a three-shot lead at the Hero World Challenge. 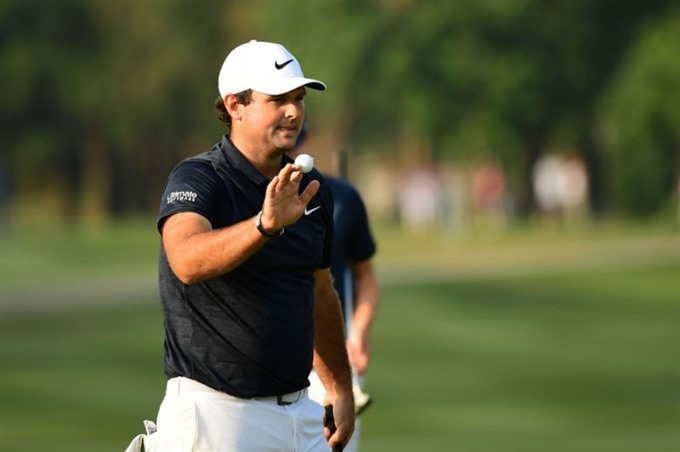 Reed, and coming off recent appearances in Dubai and Hong Kong, produced eight birdies and just one bogey to join Cantlay, who opened his first appearance in the US$3 million event hosted by Tiger Woods with a flawless seven-birdie display on the Albany course. "It was a lot of fun out there today shooting eight birdies,"Reed said. "At this time of year, many guys are looking for the year to end and go into the off-season and the way my schedule panned out in having Dubai and then Hong Kong and here, I am able to work on some things and really just trying to finish off the whole year off right. "It will make that little break we get feel a whole lot better." Cantlay, 26, was added to the elite 18-man field just a fortnight ago and arrived off a gallant runner-up finish in defense of his Shriners Hospitals for Children Open. The Californian indicated he would be donating $500 for each of his birdies this week to the Californian Wildfire Relief Fund -- translating to $3,500 on the first day. "I really feel for those people, just seeing the devastation," Cantlay said of those affected by the two deadly fires that ravaged areas in northern and southern California this month. "I mean, there are a couple different fires and seeing just the whole towns getting wiped out -- just doing a little bit to help," he said. "I felt like I could do it and I’m happy to help." Sweden’s Henrik Stenson also had seven birdies seven birdies but with three bogeys found himself sharing third place on four-under par with Ryder Cup rival Dustin Johnson. Johnson was even through 10 holes before nabbing four birdies in five holes from the 11th through the 15th. Stenson played alongside close friend Justin Rose after the two sorted out a wardrobe dilemma that saw them both arrive at the course wearing similar burgundy colored shirts. "Justin was gracious enough to arrange for his wife to bring a new blue coloured shirt and even thought the new shirt looked much better on him than the first," Stenson said. "Besides not everyone can wear this burgundy colour as well I did today." Tournament host Woods was in less jovial mood after a one-over par 73 that left him sharing 16th place. Woods had revealed during Wednesday’s pro-am he was struggling with a 102-degree fever after picking up a "bug" from his son, Charlie. While he said he was "feeling a lot better" on Thursday, Woods was spotted affixing a bandage to the back of his left ankle at the 11th tee. "It’s been a long week or so dealing with what I have," the 14-time major winner said. "At least this tournament is now started and we’ve got it underway, so that I’m now back into the rhythm of playing again, which is nice. "As for my ankles, I’ve struggled with them the last few months and they’ve just been sore. Just wear and tear." Woods had four birdies along with two bogeys and a triple-bogey six at the par-three 12th, where his tee shot came to rest well below the green inside a lateral hazard and just short of water that guards the entire left side of the hole.